BELGIUM: MHI-Vestas Offshore has entered into a conditional agreement with the developers behind Belwind 2 for the supply of 165MW in turbines. MHI-Vestas could supply 50 V112-3.3MW turbines to the project off the coast of Belgium, if the deal is made firm. Belwind 2 - also known as Nobelwind - is located next to the 165MW Belwind 1 project. A statement from Vestas said: "As soon as the project translates into a firm and unconditional order, Vestas will disclose a company announcement about this." As a joint owner of MHI-Vestas, Vestas is required under Danish law to reveal details about the deal if any information on it reaches the market. Belwind 2 is being developed by a consortium made up of the Sumitomo Corporation and Parkwind NV. Sumitomo purchased shares in Belwind 1, 2 and Parkwind's 216MW Northwind site in 2013. 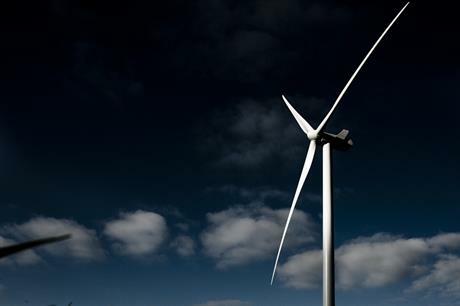 If the Belwind 2 deal goes through, it means all three developments will have used Vestas turbines. Belwind 2 is currently being used as a test site. French manufacturer Alstom has installed a prototype of its 6MW Haliade 150 turbine at Belwind 2, located 45 kilometres off the Belgian coast.